With the big iOS 7 reveal at WWDC 2013, Apple had once again divided tech experts, bloggers, enthusiasts, and casual commenters. There were many who loved the visuals and the updates, while there seemed to be as many who did not think too much of the redesign. There’s no pleasing everybody, though, especially in an industry as fickle as tech. 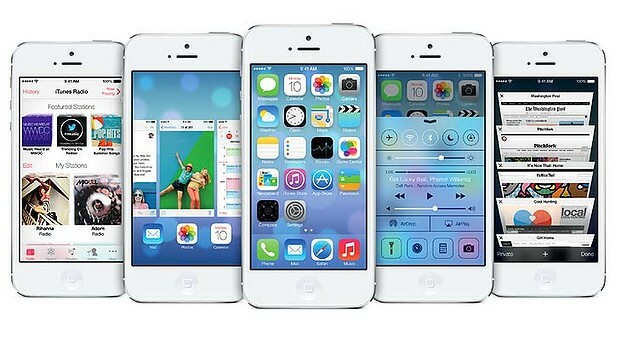 Is iOS 7 the great update iPhone and iPad users have been waiting for? Is it a big Android/WebOS/WP copycat? Is it innovative, or is it a mere catchup maneuver? 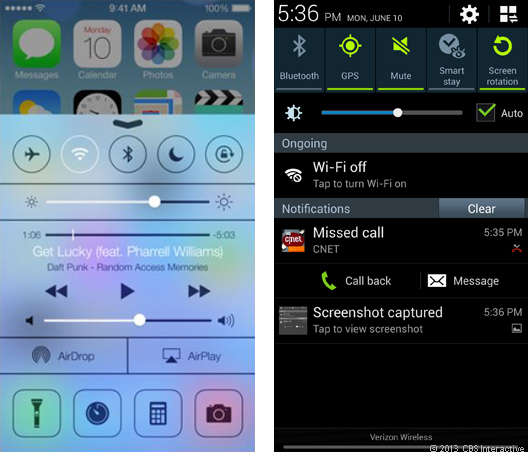 There’s been a lot of hype about what Jony Ive would do for the visuals of iOS 7. Gone is the skeuomorphic design of old, and we’re treated to more flatness and more color. That’s a radical change for a mobile OS that has remained largely unchanged—as far as looks are concerned—since it came with the original iPhone. From what we’ve seen so far, the reactions to the new-look iOS is a mixed bag. Many people like it, including both fanboys and detractors of the brand. Many don’t like it, some have even made fun of it, while some still want to wait until they actually spend a good amount of time using it before they hand in their verdicts. There’s really no beating around the bush here, though. The refresh isn’t for everyone. While it’s certainly nice to see something new in terms of the iOS visuals, we can’t help but think that this wasn’t entirely the best implementation possible. For one, the whole look seems overly colorful, and one might say the gradients in the app icons are a tad too much. In addition to this, the design doesn’t seem as unified—and as polished—as Apple would want you to think. Still, this is just the initial offering. Do consider that Ive and everyone else involved in this effort did all this in just around 7 months, and it’s really not easy redesigning something like iOS. We won’t be surprised if Apple implements updates to tweak the design. When we talk of major mobile OS updates, new functionality is as important as any visual redesign, and iOS 7 brings in a lot of new things for owners of Apple devices. There’s multitasking with previews, unlimited tabs in the browser, and a very Android-like Control Center. With all that, the iPhone becomes an even better business phone, media device, and all-around life manager. Whatever people were saying iOS lacked and other mobile OS’s had, it managed to add those in with this new version. It really doesn’t matter whether or not Apple ripped off these new features from other platforms; if there’s anything Apple has shown us so far, it’s how it can really take one existing feature and make it look good and run properly. As some say, it’s all about the end-user experience for Apple. It’s not really all about being the first at something (although some would argue that’s what being innovative is all about). Of course, some things can still be improved—like the organization of the Control Center—but it would be easy for Apple to fix these things if the company wants or needs to. So, in a nutshell, Apple did just implement a bunch of features people in other platforms (okay, Android) had been enjoying for quite some time now. Those features were executed well, though; and even if the new visuals (okay, the gradients and colors) could use a little toning down, they still look beautiful for the most part. It’s not perfect; but, at the very least, iOS 7 puts the mobile platform on equal footing with the others. With a product launch still looming over the horizon, Apple is in a great position to dominate the smartphone and mobile device market once again—and it all starts with iOS 7.